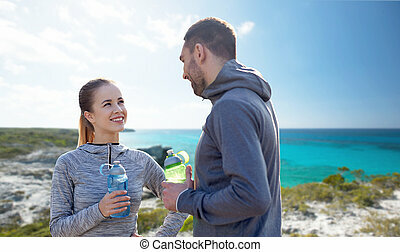 Smiling couple with bottles of water outdoors. 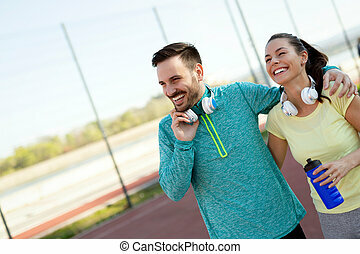 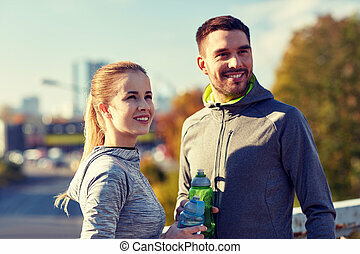 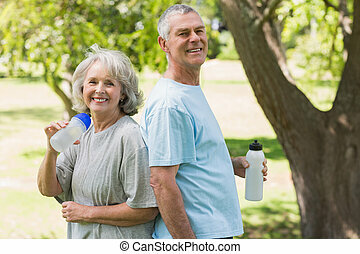 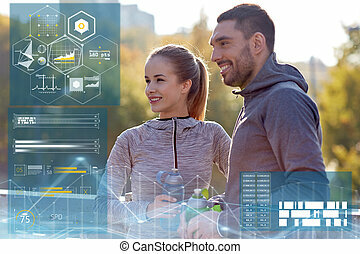 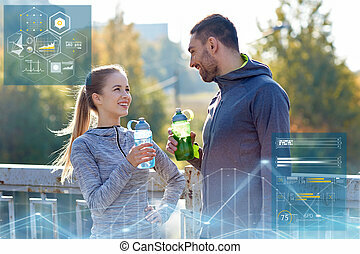 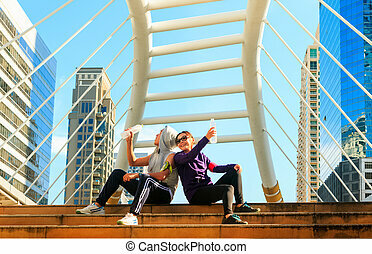 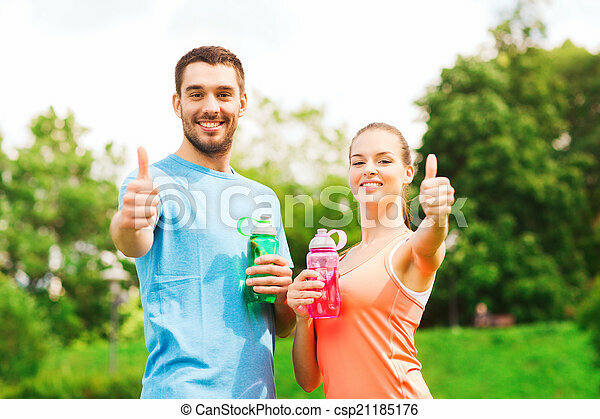 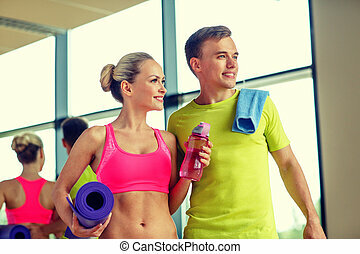 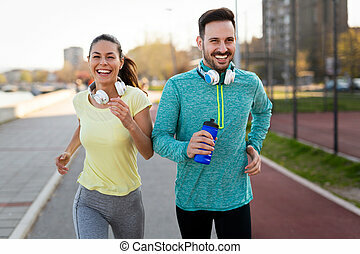 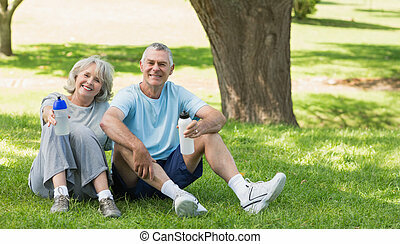 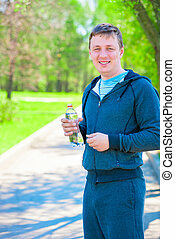 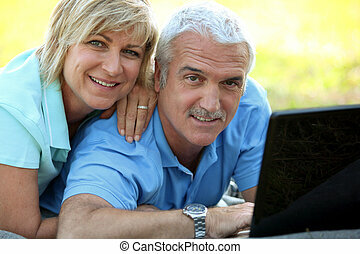 Fitness, sport, friendship and lifestyle concept - smiling couple with bottles of water showing thumbs up outdoors. 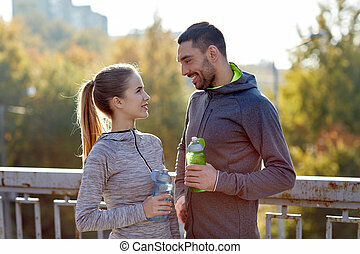 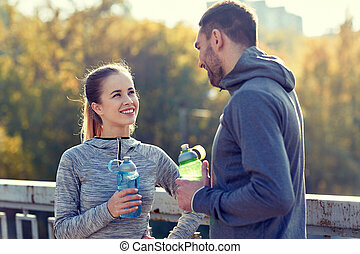 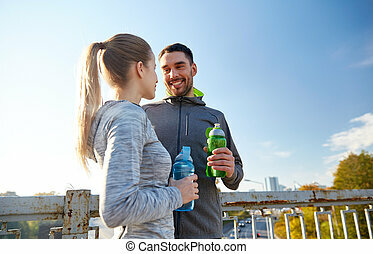 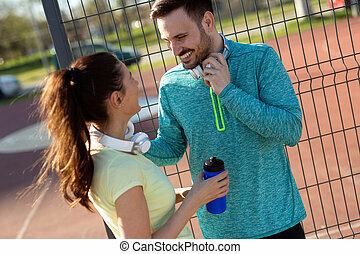 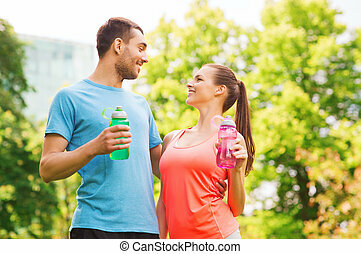 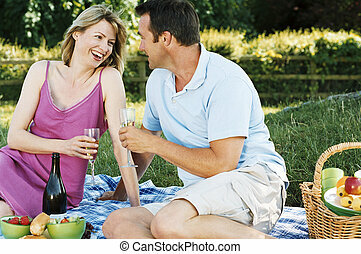 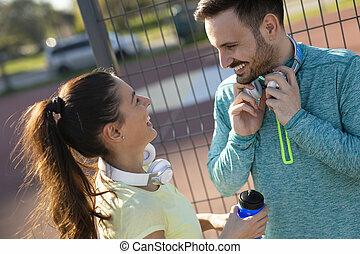 Smiling couple with bottles of cold drink outdoors after sport exercise.